Welcome to Building Products Ltd. Formed in 2000, Corrivo Building Products has become a leading manufacturer of bespoke metal components for the industrial roofing industry. 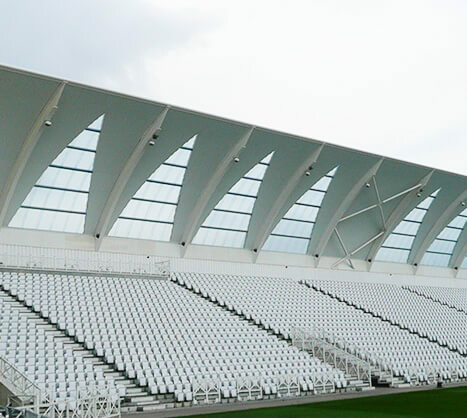 We create perimeter flashings and fabrications in steel and Aluminium to the customer’s own design details. Corrivo also produce a wide range of ancillary components such as louvres, rainwater goods and industrial gutter systems. We can provide advice on the best products and materials for any roofing & cladding project. Please feel free to explore this website where you will see a small selection from our product portfolio. The name ‘Corrivo’ is derived from a Latin word meaning, ‘to conduct streams of water together, to draw together into one stream’. You can be assured that our experienced team will bring together expertise from a wide range of disciplines to ensure you always get the right product, at the right price and all on site when required. Simply contact us today for more information and we’ll be happy to advise you on all your roofing fabrication needs.